At Amani MedSpa, we provide a range of skin rejuvenation treatments to fight the appearance of acne and aging to help you look your absolute best. From eMatrix sublative skin resurfacing and Aerolase to treat Melasma, we have the technology needed to rejuvenate and repair your skin. Our eMatrix sublative treatment addresses a variety of skin conditions, including acne scars, fine lines and wrinkles, large pores, stretch marks and sagging skin. It is perfect for all skin types and is ideal for skin that is prone to hyperpigmentation, which can sometimes be an unwanted side effect of laser treatments. eMatrix sublative skin resurfacing provides minimal downtime and is an excellent alternative to chemical peels and microdermabrasion. eMatrix uses radio frequency energy that is delivered to the dermis of the skin at a deeper level than traditional laser treatments. This allows us to bypass the epidermis, minimizing unwanted side effects and resulting in more significant improvements in the skin. The Aerolase non-ablative laser addresses a wide variety of skin conditions including wrinkles, acne, pigmented lesions, melasma, rosacea, spider veins, hair removal and scarring. 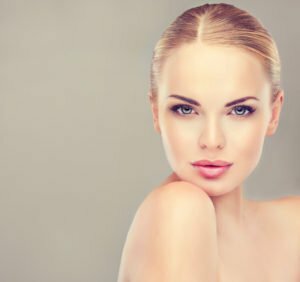 Safe to use on any skin type, Aerolase is a gentle yet highly effective laser skin rejuvenation treatment that is tailored to match your skin condition and desired results. We also offer melasma treatment to reduce brown, tan or gray patches, while rejuvenating complexion to a more even and uniform skin tone. Look and feel more youthful and refreshed with a skin rejuvenation treatment from our experienced Valrico, FL skin care specialists. Learn more about the skin treatments offered at Amani MedSpa.